A native of New Orleans, Louisiana, Amy is in her senior year at the Bard College Conservatory of Music, studying with Elaine Douvas, Melissa Hooper, and Alex Knoll. 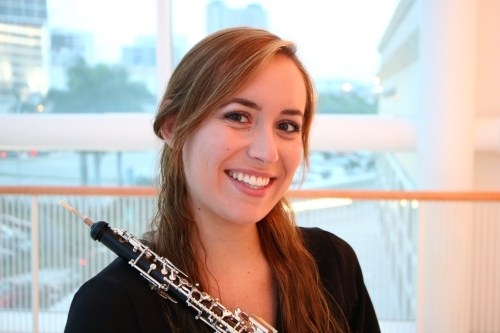 She is pursuing a BM in Oboe Performance and a BA in American Studies. In 2019, she was a finalist in the Bard College Conservatory Concerto Competition. She performs regularly with the Bard College Conservatory Orchestra and formerly was a member of the New Orleans Civic Symphony and the Greater New Orleans Youth Orchestra. In 2018 she performed in Alba, Italy as part of the Alba Music Festival Young Artists Program. In previous summers she has attended the Miami Music Festival, the Sewanee Summer Music Festival, and in 2016 performed in Cuba with the Bard College Conservatory Orchestra.